The unique combinations of ingredients in SugarDaddy™ are vital for all stages of plant growth and development. 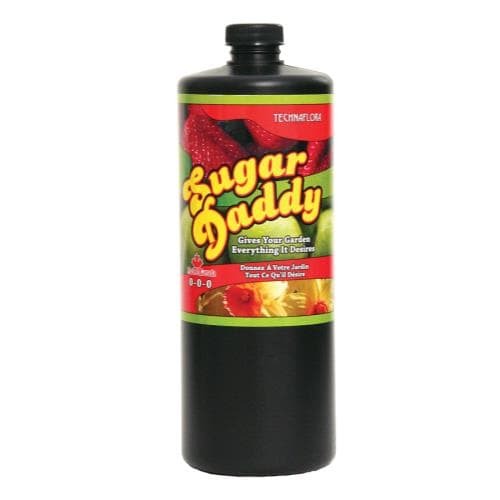 During the seedling stage SugarDaddy™ rapidly accelerates sprout growth and prepares plants for transplanting. 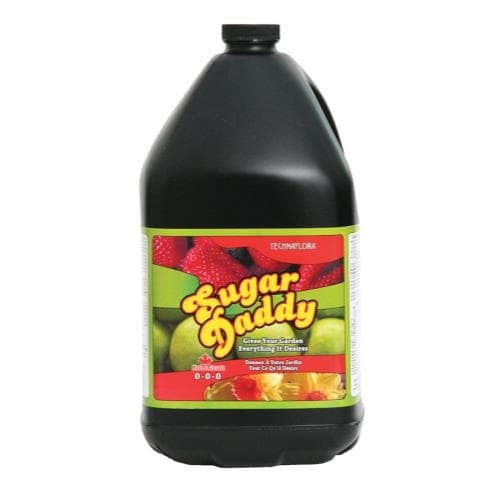 During the vegetative stage SugarDaddy™ promotes strong plant structure which is a critical precursor to final yield success. Of maximum benefit during both transition and reproduction, SugarDaddy™ fosters healthy stage progression by limiting detrimental transition related stressors. Further, the lower nitrogen levels often found in flowering stage fertilizers are overcome by the use of SugarDaddy™; as carbohydrate, protein, and fatty acid synthesis is achieved vigorous growth rates are maintained along with the production of essential oils and the aroma value of flower buds and fruits. 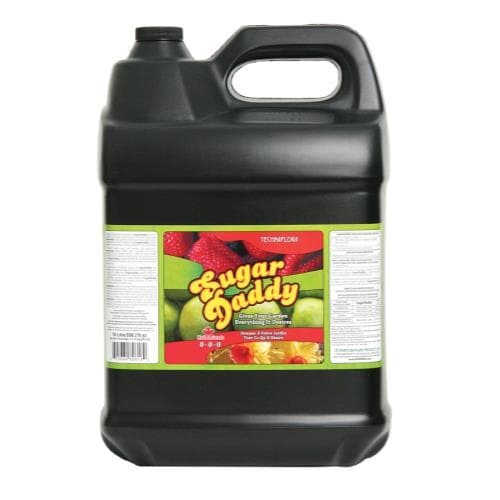 Compatible for use with all Technaflora products or premium quality soluble fertilizer, SugarDaddy™ is suitable for use in soil, soilless and hydroponic based gardening mediums. Sugar Daddy, from Technaflora Plant Products, is a premium carbohydrate used to increase the metabolism of the plants in your garden. This product can be used in any soil, soil-less, or hydroponic system. *Always monitor hydroponic reservoirs when adding a new supplement to your garden. **Some organic based additives can cause unwanted smells and slimy textures on plastic surfaces Sometimes this is normal and healthy, sometime these are bad signs.